When You Need To Know How To Sell Your House Fast In Cherry Hill – Philly Home Investor Has Your Answer! Ever ask yourself, “how do I sell my house fast”? The answer is pretty straightforward, sell to a direct buyer like us that already wants to buy your house today. Our cash offers don’t rely on the traditional financing process so we can close quickly, on your time frame. Cut through the cutter of all the online ads and print offers, come to Philly Home Investor, a locally trusted and noted home buyer. We’ve bought numerous homes in the Cherry Hill area so our experience helps us get you the most money for your home! We are now buying in South Jersey. We are looking to buy houses in Cherry Hill, Marlton and other areas of south Jersey. Are you unsure if you should sell your house? Worried about the costs and fees? Stressed over the burden of your home? 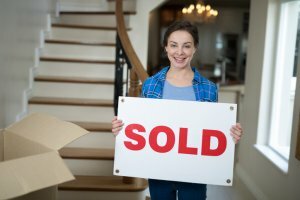 Inherited a home recently and want to sell? Facing Foreclosure? Stop Worrying! Stop waiting on what to do, we are here to give you a fair all-cash offer for your home! We’re local home buyers who are here to help you sell your house fast. Fill out our form to get your offer quickly. We will explain the market factors that go into creating the offer, how you can expect the sale to take place, and answer any questions you have. There are no obligations and no pressure involved in the offer. Our process is simple and easy – and we’re local so we’re here for you every step of the way! No Fees, No Commissions, No Repairs! Just a simple cash offer, that allows you to sell your home fast! You decide the closing date! We can close in as little as 7 days! Has your home cost you your peace of mind? It’s not worth it. Stop the bleeding and salvage your situation by selling to a direct home buyer. Then head over to Zoes Kitchen after the sale of your home and celebrate this occasion. Getting back your peace of mind is something to celebrate! Check Out The Offer We Have For You! Sell your Cherry Hill, NJ house fast! We can close in as little as 14 days. We can close in as little as 7 days! You pick the closing date! Instead of going to a real estate agent, we provide a cash offer on the spot. We can save you from paying closing costs, commissions and repairs that are required when using a real estate agent. You can get rid of the headache of that property fast and avoid paying any more utility payments, tax payments, insurance or mortgage payments. Get out of the burden of a house that is costing you more than time and money! Homes can cause stress. Get peace of mind. Move forward from a tough home owning situation.